I knew i had to eat a ‘G’ but i wasn’t sure what to do. 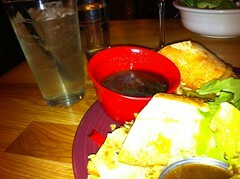 Luckily, i’m in the middle of Boulder and there are phenomenal restaurants all around. I wanted to find a place that served Gumbo and i was surprised to see that there was one about 2 blocks from my office called Lucile’s. Not only was Lucile’s the cutest place on earth but the food was delicious. 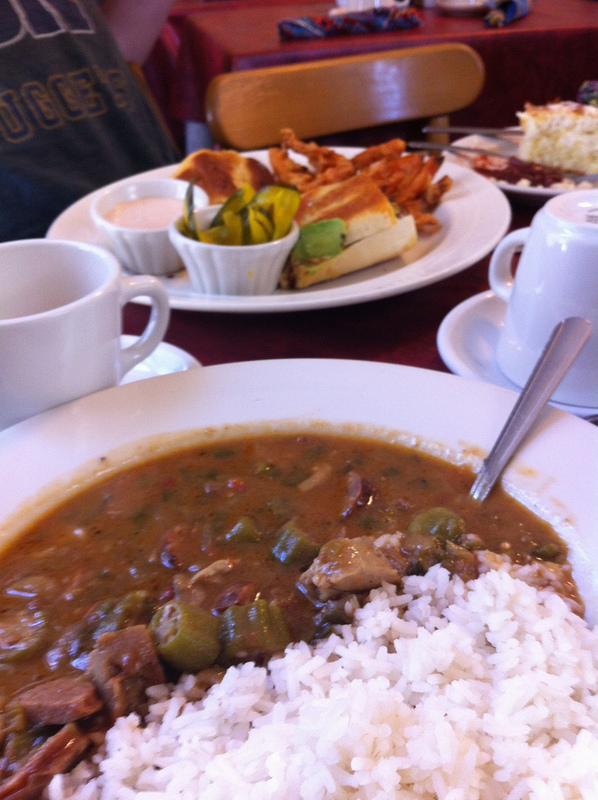 I had a Gumbo plate and my friends had grits and a 3-cheese grilled cheese with bacon and avocado. I made sure to get the sandwich in my pick so you can see the awesomeness. Today is a hard day. I’m going to try for gumbo for lunch but that’s not a easy task in a mountain town in the middle of the winter. 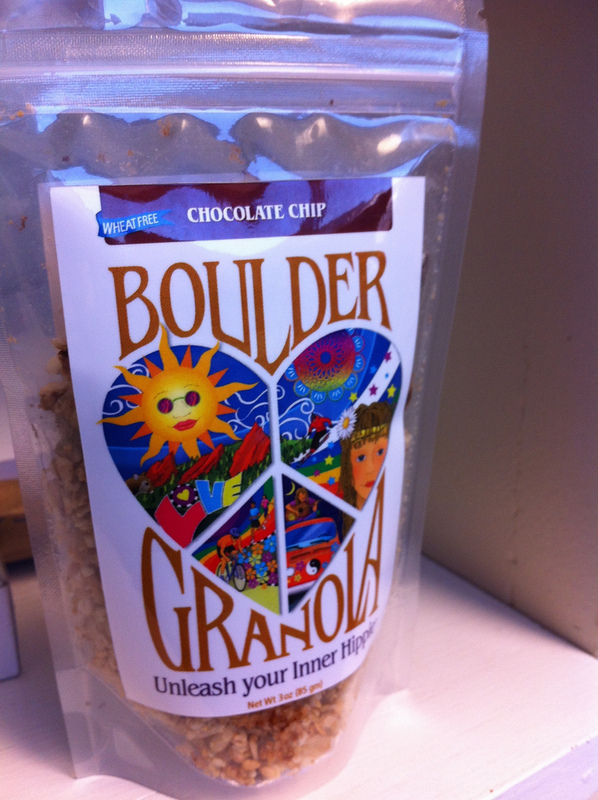 To get my day going, i went with some Granola, which in Boulder is about as common as road bikes.